"I am very proud of the first class service we offer to our landlords, tenants, vendors and buyers." In 2006 after a successful 20 year career within the food industry I decided the time was right to set up my own business and with a strong interest in property I took the decision to set up a Northwood Franchise in Peterborough. I was particularly impressed with the level of professionalism and integrity that Northwood offers its customers all our landlord management contracts are annually reviewed by the Trading Standards Institute, we are members of the Property Ombudsman redress scheme and Northwood is a founding member of the SAFEagent scheme. My role is varied but my main duties are looking after the financial side of the business and advising landlords on all aspects of managing their properties. Outside of Northwood my main passion is golf and I try to play every week. "Being part of the Northwood family is great fun, extremely busy and very rewarding." 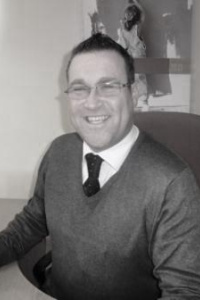 Colin started his working career in the Estate Agency Industry in Peterborough in 1993. Throughout his career Colin has learnt all the aspects involved in Estate Agency and is well known by his peers within the industry. In 2006 Colin decided to broaden his property expertise and knowledge and he joined Northwood Peterborough to embark on a new challenge dealing with both property sales and residential lettings. 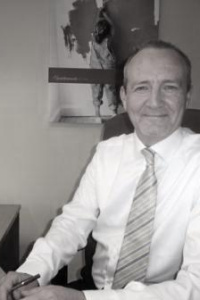 Colin oversees all aspects of our Estate Agency Services including property valuations and helping his clients with their conveyancing matters. With over 20 years in the industry Colin and has built a close ties with a variety of Solicitors firms across Peterborough. In his spare time Colin spends time with his family and has completely renovated a 1970's VW camper van. "My goal is to create a lasting impression on our clients and ensure that our high standards of customer service are maintained." 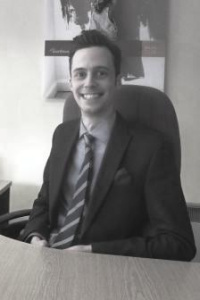 Christopher joined Northwood Peterborough in April 2014 as a Sales Negotiator bringing a wealth of customer service and sales experience. His day-to-day includes attending sales viewings, negotiating offers and closing deals and generally offering Vendors advice on how best to market their home for sale. 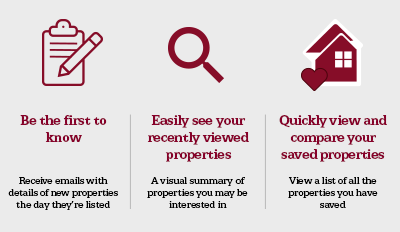 Christopher, as with us all at Northwood Peterborough can offer the best possible advice to those interested in buy-to-let, be you a landlord with a portfolio or someone thinking of investing in the rental sector for the first time. Recently Christopher took responsibility for our marketing and social media presence. Outside of work Christopher enjoys sports and spending time with family and friends. "I love the fun yet professional working environment here at Northwood Peterborough which is why I decided to come back." 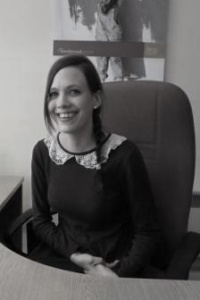 Kayleigh re-joined Northwood after a maternity break and brings with her 8 years experience in the lettings industry. She has a fun yet professional manner and has already proved to be a valued member of the Northwood Peterborough team. She specializes in Inventories, tenant viewings, referencing and processing all activities to do with check-outs. In her spare time Kayleigh likes spending time with her daughter and acting half her age. “I enjoy the fast paced and challenging aspects of property management.” Rebecca recently joined the Northwood Peterborough team as a Lettings Administrator primarily focusing on generating contracts for tenants and landlords, and coordinating maintenance with contractors. 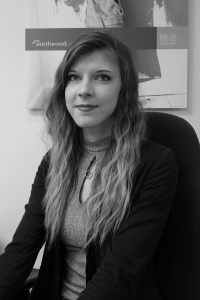 With Rebecca having previous experience in property lettings she has knowledge of the local Peterborough rental market and is now gaining more experience. In her current role as a Lettings Administrator, Rebecca coordinates all aspects of our lettings business offering invaluable advice to clients wishing to rent their properties. Her experience of Property Management and our professional customer focused service has allowed Rebecca to build good relationships with tenants, landlords and contractors. Outside of work Rebecca enjoys going out with friends and spending time with family.